Good morning from Doha in Qatar! Every field season starts with getting to where you work. Often, this seemingly simple task can become its own odyssey. Many research projects are located in the countryside, far from the international airports of the cities. Depending on their situation, archaeologists in the Middle East use a combination of planes, buses, and automobiles to get where they need to be. RAP is a good example. 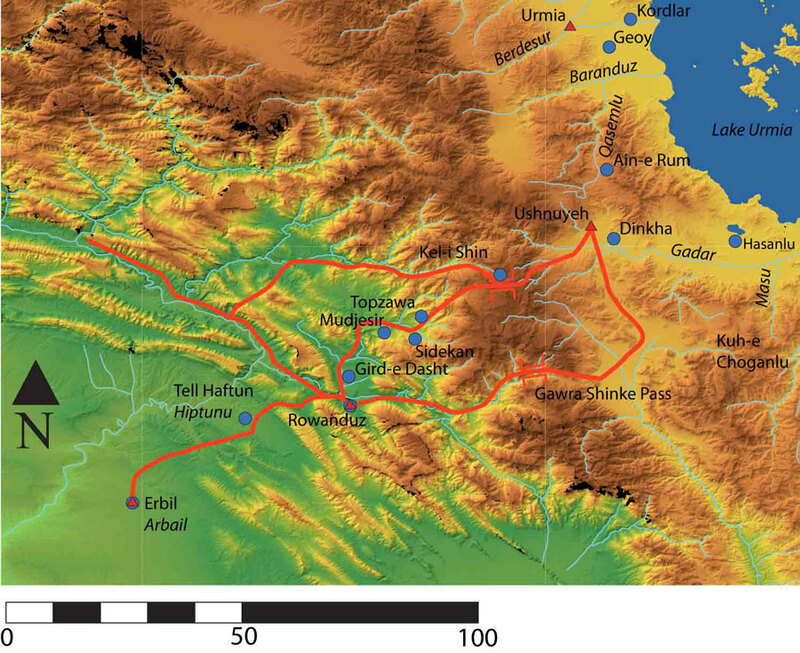 To get to Rowanduz, you first need to fly to Erbil in northeastern Iraq. From the United States, there are two main routes to Erbil, either connecting in Europe or the Persian Gulf. The northern route passes through any number of European cities, depending on which carrier you choose. From there, these flights travel through Turkey and then curve down towards Erbil from the north. In my six years of summer excavations, I’ve always taken the northern route. It’s usually relatively painless. You sit for six to seven hours as you cross the Atlantic and then another four to five to get to your destination, with a nice stretch and a snack in between. I say usually painless, but the one year that my dig director sent me through Moscow on Aeroflot, the Russian national carrier, is seared into my brain. On the transatlantic flight, I sat in front of an American businessman who had drunk too much vodka. Halfway through the flight, he came over the back of my chair with his hands, yelling “Arrrrrrrgh,” like a pirate. He remained equally entertaining (and carefully watched!) for the rest of the flight. During my seven-hour layover in Moscow, there were few chairs available for transfer passengers, so I spent a lot of time sitting on the floor. People who clearly took this route more than me had planned ahead and brought blankets; lesson learned. Finally, I spent my flight south in terror of being crushed by the luggage of my neighbor, whose suitcases were piled high between us. So much for Aeroflot. As I recall, the dig director took a different carrier. Route two takes you through Qatar or the United Arab Emirates, which is what four of us did this year. It’s a much longer flight to Doha, roughly twelve hours, but Qatar Airways has high-quality service and good entertainment. We’ve got a seven-and-a-half hour layover, which I’m using to write this post, and then it’s a quick two-and-a-half hour trip through southern Iraq to Erbil. Luckily, we’re flying during the day, so we should be able to see some of the famous archaeological sites, like Ur, Uruk, and Assur, as we pass overhead. Once in Erbil, we’ll deal with residency issues and then drive north to Rowanduz, but more on those adventures later. For now, it’s time to buy another coffee and slowly persuade my body that it’s 9:30 am, not 2:30 am.